There are many wonderful, hearty salads out there with grains as their main ingredient, and tabbouleh is not one of them. Granted, the Levantine salad has bulgur in it—without the bulgur it wouldn’t be tabbouleh. But bulgur is not tabbouleh’s main ingredient. Tabbouleh is not a grain salad with herbs in it; it is an herb salad with grains in it. No time is better suited for appreciating the proper ratio of herbs to bulgur in tabbouleh than now, when heat and humidity conspire to strip oxygen of its usual revitalizing effects. In midsummer, you don’t want to consume anything that doesn’t cool you down a bit. Ice cream, sushi, and beer are all obvious candidates. Herb salads are less obvious, but their refreshing capabilities are unparalleled. Apart from remembering that parsley and mint are the stars of the salad, there are three ways to make tabbouleh taste as invigorating as the opening harmonies of Laura Mvula’s Sing to the Moon. The first, as previously mentioned, is to cool it with the bulgur. Masticating a bolus of chewy grains is one of the least rejuvenating corporal experiences imaginable, on a par with swathing your body in a wool blanket. You should use just enough bulgur to provide a coy hint of textural contrast to the leafy herbs—and to soak up tomato juice (about which more in a moment). Bulgur is a rather unremarkable grain except for one key fact: You don’t have to cook it. Already being parboiled, this version of whole wheat will soften to a perfect al dente if steeped in boiling water. This means you only have to turn on the stove and heat up your kitchen for a few minutes when making tabbouleh—another plus when it’s above 90 degrees outside. The second thing to remember: Use really good tomatoes. You’re better off making an herb salad with no tomatoes than making tabbouleh with grainy, dry ones. Luckily, even though peak tomato season hasn’t hit yet in most places, it’s almost always possible to find good ones—you just might have to use cherry or grape tomatoes in order to avoid mealy blandness. If you’re very lucky and find exceptionally juicy tomatoes, the bottom of your salad bowl may collect a fair amount of liquid. This is not necessarily a problem—daintily sipping tomato extrusions from a plate or bowl is A-OK—but if you prefer a drier tabbouleh, salt your tomatoes beforehand. Lastly: Add a lot of lemon juice. 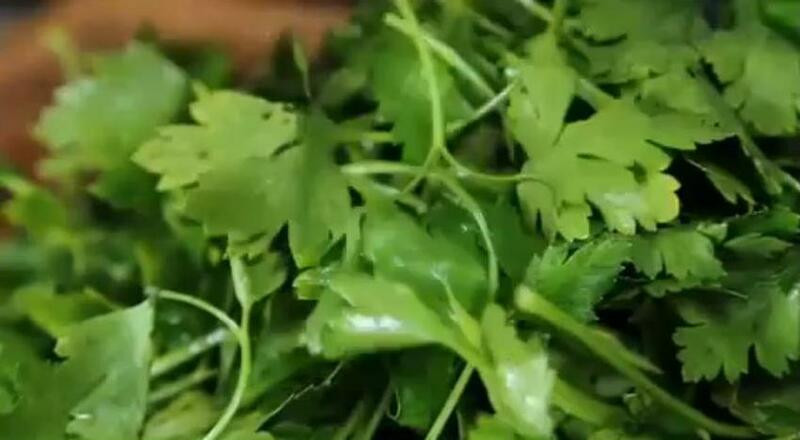 The only thing more refreshing than a mouthful of parsley and mint is a mouthful of parsley, mint, and lemon. Think of what makes a glass of lemonade (or a Tom Collins) so stimulating on a steamy July day. Tabbouleh should accomplish the same effect. It just delivers more nutrients in the process. 1. Bring a kettle of water to a boil. Put the bulgur and a pinch of salt in a small bowl, then add ⅔ cup boiling water. Cover the bowl and steep until the bulgur is tender, about 1 hour. 2. Meanwhile, roughly chop the tomatoes, parsley, mint, and scallions, and combine them in a salad bowl. Drain the bulgur and add it to the salad bowl along with the lemon juice and olive oil. Season with salt and pepper and toss. Taste and adjust the seasoning, and serve immediately.